Rono Kwong, one of the “Ten Outstanding Young Persons” awardees of 2015, is a marketing consultant, experienced and award-winning video producer, inspirational speaker and active social services participant. He is also the Founder and Chairman of the award-winning Best Video Limited, as well as the Best Event Limited and Fox Business Strategy Consultant Limited. Rono has diverse experience in marketing and communication across multiple platforms. In particular, he has potent leadership and management skills to lead Best Video Limited to become Hong Kong’s premier one-stop production company that has accounted 50% annual growth. Rono’s passion is creating new, effective and creative ideas that generate values. 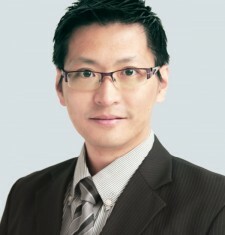 His ideas have earned recognition from different authorities in Hong Kong and world-wide.